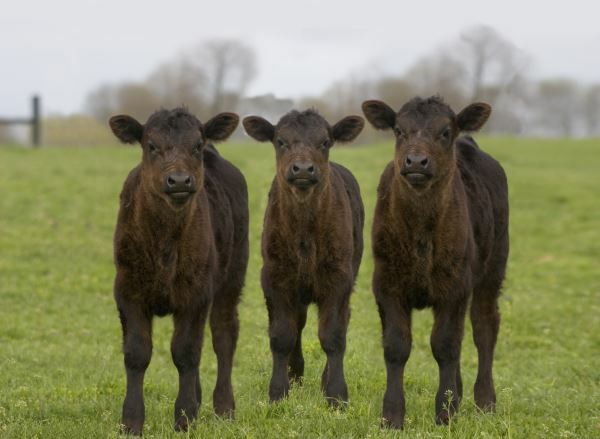 Live yeast plays an important role in helping aid both rumen development and rumen efficiency in youngstock, as well as easing the transition on to a finishing diet, ensuring that cattle maximise feed utilisation and achieve good weight gains. Maximising early growth gains in calves ensures they get off to a good start and achieve better daily liveweight gains (DLWG) later in life. Supplementing calf feed with Levucell live yeast can help develop a calf’s rumen performance by promoting the growth of rumen papillae, enabling the rumen to work more effectively and increase feed utilisation efficiency. Yeast has also been shown to reduce rumen oxygen content, which helps stimulate the growth of rumen organisms that digest fibre and starch, contributing to more efficient rumen performance. Beef cattle, especially those on a final finishing diet, are often fed high energy, high starch diets, which, when fermented in the rumen, create acid and result in a lower rumen pH. If left unchecked, this decrease in rumen pH can result in rumen acidosis, with cattle suffering from scour and sub-optimal rumen performance, both of which negatively impact on DLWG. Levucell live yeast helps to regulate rumen pH by encouraging the growth of bacteria within the rumen that counteract lactic acid, helping to maintain a constant rumen pH of 6.2 or above – the optimum pH to ensure effective feed digestibility and nutrient absorption. Transitioning from one diet onto another always poses a challenge to rumen performance; be it a calf being weaned onto solid feed, older animals being introduced on to their final finishing diet, or new store cattle coming on to farm and being introduced to a new ration for the final finishing period. Sudden changes to a diet can result in cattle suffering from rumen upsets and subsequent growth checks and therefore need to be avoided. It is therefore important that any changes to diet are made gradually over a number of weeks so that rumen microbes can slowly adapt. During periods of transition, Levucell can be used to help ease the rumen ‘shock’ created by changes to diet by quickly stabilising rumen pH and ensuring that the rumen maintains anaerobic conditions. Levucell is an encapsulated live yeast, this protects it in challenging conditions. It has the scope to be included in many types of the feed, ranging from pellets to pre-mixes, for use in home-mixes or total mixed rations.